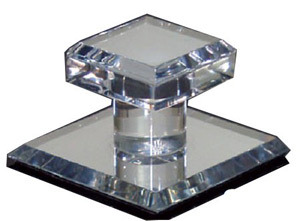 Acrylic pulls are polished with a smooth mirror finish. A pressure sensitive adhesive backing allows for easy attachment to sliding glass showcase and vanity doors. No holes to drill, just peel and attach directly to the glass.